For a pet project I want to run a motor and also be able to reverse the direction. I found this motor and pasted the information table below. As far as I know a DC motor needs to be brushed for it to be able to reverse the direction, but I can't find if this motor is brushed or brushless. Am I missing something? Does anybody know if I will be able to reverse this motor? All tips are welcome! According to its description and my experience buying in Banggood it IS a brushed motor, so reversing its direction is possible (although DC motors lose a bit of efficiency when their direction is reversed). Not the answer you're looking for? 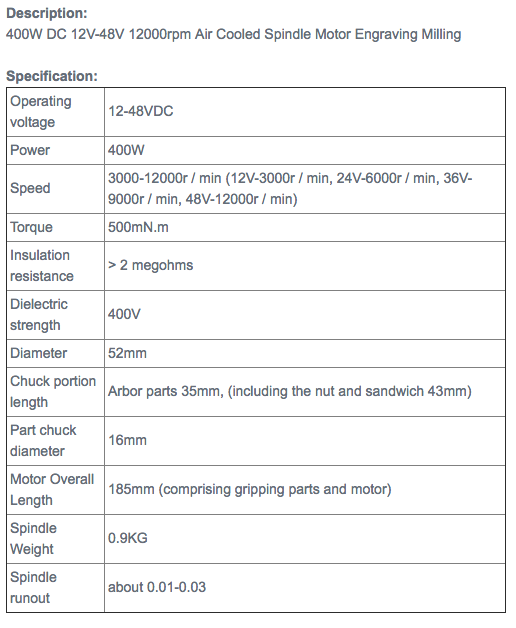 Browse other questions tagged motor dc dc-motor reverse or ask your own question. The concept of protection diodes across a fan/motor? What H-bridge do I need for my setup? Can I use a charger to power a motor? What are Hall sensors used for in a brushless DC motor? What would cause a 120 VAC universal motor to run slower in reverse?